China has illegally diverted U.S. civilian nuclear technology to its nuclear submarine program in violation of a 1985 cooperation agreement, according to Senate testimony Tuesday. Additionally, China appears to be violating an international Nuclear Suppliers Group commitment by exporting additional nuclear reactors, some with U.S. technology, to Pakistan, according to Republican and Democratic members of the Senate Foreign Relations Committee. The Chinese nuclear violations were revealed during a hearing on the 1985 U.S.-China nuclear cooperation agreement that is set to expire at the end of the year. The Obama administration is seeking a new agreement, known as a 123 agreement, after the section of the Atomic Energy Act regulating nuclear technology sharing. The 1985 agreement was held up for 13 years over concerns China was proliferating nuclear technology to rogue states such as Iran and North Korea. It was finally approved during the administration of President Bill Clinton. The delay was the result of Congress imposing a certification provision requiring the president to allow nuclear transfers only after he certified China was not engaged in nuclear proliferation activities. Committee Chairman Sen. Bob Corker (R., Tenn.) said several members of the committee are concerned about Chinese violations of the current agreement. "We have a country like China that is not honoring the spirit of the law," Corker said. "They're not honoring previous agreements with the nuclear group. We know they're going to take this information and use it for military purposes. We know that, even though the agreement says they won't do it." Corker questioned two Obama administration officials about whether nuclear cooperation would be suspended if Chinese violations are confirmed. Sen. Robert Menendez (D., N.J.) revealed that the possible Chinese nuclear diversion involved reactor cooling pumps produced by the Curtiss-Wright Corp., an American company that makes the pumps for U.S. nuclear-powered submarines. "They also produce a scaled-up version of this pump for the AP1000 reactors Westinghouse is selling to China," Menendez said. "Could China reverse engineer the pumps that they are receiving from Westinghouse for their own nuclear submarine program? Is Chinese military seeking to divert these civilian nuclear technologies to its naval reactor program? Do you have any information on that?" Thomas Countryman, assistant secretary of state for international security, who appeared at the hearing, said: "I do, and we discussed it in some detail in last night briefing, sir," a reference to a classified committee session held Monday. China is engaged in a major nuclear submarine buildup that includes four new types of nuclear attack and ballistic missile submarines, according to the Pentagon’s annual report on the People’s Liberation Army. The report, made public this week, said China currently has five nuclear-powered attack submarines and four nuclear missile submarines. Four additional attack submarines are planned and five missile submarines are being built. The first missile submarine patrols are set to begin this year. Sen. Ed Markey (D., Mass.) was more specific about the nuclear technology diversion. "Concerns have been raised that China may be diverting U.S. nuclear power technology to its nuclear naval program," he said. "Would such a transfer violate the peaceful use provisions of the 1985 Nuclear Cooperation Agreement? Countryman, the State Department official, said the transfer would violate the current agreement and the proposed successor agreement. Sen. Ben Cardin (D., Md.) also questioned whether the nuclear cooperation agreement with China should be renewed. "While progress has been made, China’s nonproliferation policies remain problematic," he said. "Multiple State Department reports document Chinese companies and individuals who continue to export dual use goods relevant to nuclear and chemical weapons and ballistic missile programs in Iran and North Korea," Cardin said. Cardin also said he is concerned by Chinese plans to export nuclear power plants based on technology supplied by the U.S. company Westinghouse. "Under a deal signed in 2007, Westinghouse agreed to transfer its reactor technology to China," Cardin said. "This allows Chinese firms to increase their share of the nuclear work with the ultimate goal of exporting reactors themselves." Regarding reactor sales to Pakistan, Cardin said China claims the exports do not violate the Nuclear Suppliers Group guidelines. "However, as China makes plans to export nuclear reactors, reactors based upon U.S. technology, to other countries, one has to wonder about its commitment to nonproliferation standards it has signed up to," he said. Henry Sokolski, director of the private Nonproliferation Policy Education Center, said the Senate testimony made clear that the committee is concerned that China has violated the 1985 agreement. Sokolski said it appears the panel is preparing to add conditions to any approval of a new agreement designed to prevent further nuclear technology diversions and rein in Chinese nuclear reactor exports. 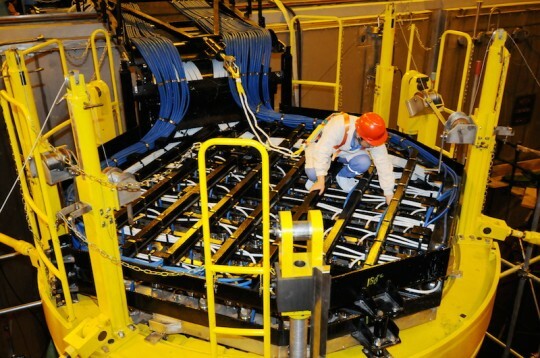 "The hearing made it very clear to anybody listening that the Chinese have violated their pledge not to divert U.S. power reactor technology to the submarine naval reactor program," Sokolski said. He added that the committee appears to be preparing to impose conditions on approval of a successor 123 agreement, such as the certification provision attached to the 1985 accord. Markey also said that China in the 1990s helped Iran’s nuclear program and that U.S intelligence reports "have expressed continuing concern that Chinese government and private entities have proliferated technologies concerning and related to nuclear weapons to countries of concern." One example is the arms proliferator Karl Lee, a Chinese national, who has facilitated illicit nuclear and missile transfers to Iran. China’s government has done nothing to shut down the Karl Lee arms network, he said. Markey also said the five PLA officers indicted by the Justice Department last year for hacking U.S. companies were after nuclear data from Westinghouse. "These thefts occurred in 2010 and 2011 and included information related to the Westinghouse AP1000 nuclear reactor," he said. "During the identical time frame that these thefts were taking place, the Nuclear Regulatory Commission authorized dozens of Chinese nationals to have unescorted access to five U.S. nuclear power plants for two months—unescorted access to five U.S. nuclear power plants." The incident of unescorted Chinese nationals at the power plant is being investigated by the Nuclear Regulatory Commission, he said. Markey also said the Pentagon has reported that Chinese hackers broke into Department of Energy networks. "I think it's very important so that we understand especially whether or not they have tried to access nuclear weapons information from the Department of Energy or other sensitive military information, and that would be both Energy and State, but also Defense and other related agencies," Markey said. "So, I am not confident that I can support this agreement," he added. "I think it needs additional strengthening if we are going to be confident that the policy that we have right now doesn't help China far far more than it's [their] long-term nuclear and ballistic missile nonproliferation agenda, which we put at the highest pinnacle of American foreign policy." Corker also said the agreement may be modified by the Senate. "My sense is that as we move ahead, there may be a series of conditions that the Senate may want to place on this particular agreement," he said. A spokesman for Corker, asked about the diversion of nuclear technology, said the senator’s questions were based on unclassified assessments that addressed China’s "intent to divert" civilian technology to the military. A State Department spokesman did not return an email seeking comment. A Chinese Embassy spokesman also did not return an email seeking comment. However, Chinese President Xi Jinping has said in recent speeches that China should use more of its civilian technology to support PLA military modernization programs. This entry was posted in National Security and tagged China, Iran, Nuclear Weapons. Bookmark the permalink.